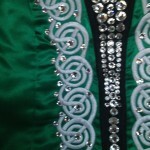 Gorgeous Green Satin Solo Dress made by Jean Olsson! 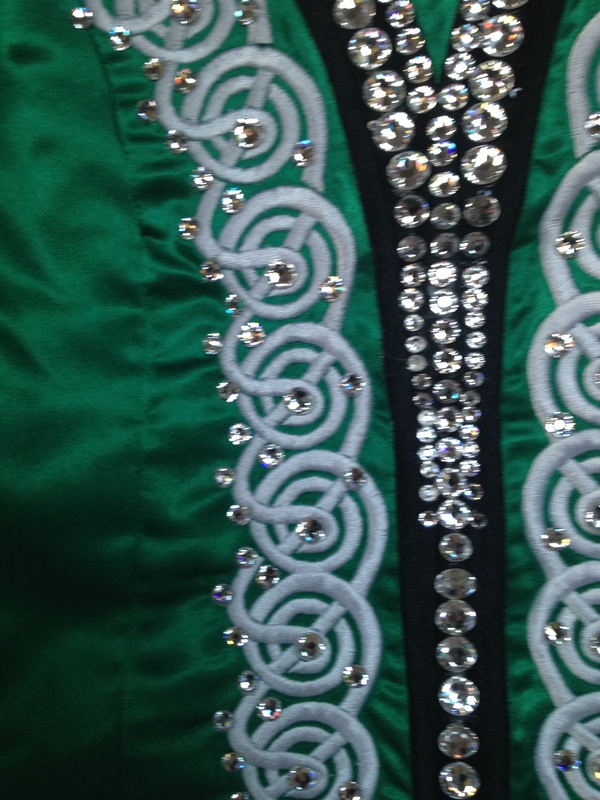 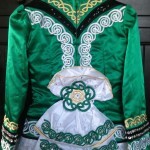 Celtic embroidery with tons of gems. 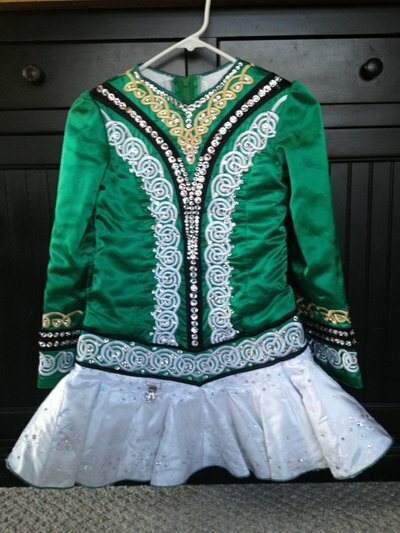 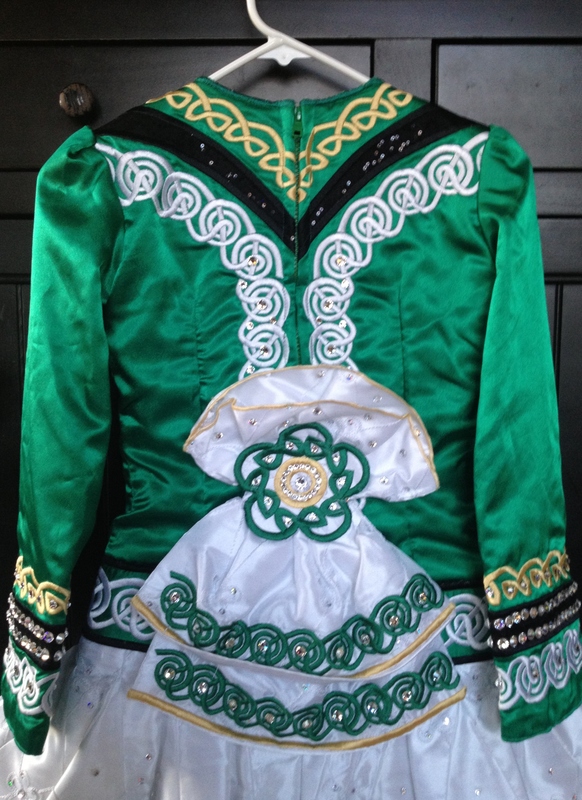 Great for a younger dancer.Great Condition, only one year old, non-smoking house!Bloomers and headpiece included.